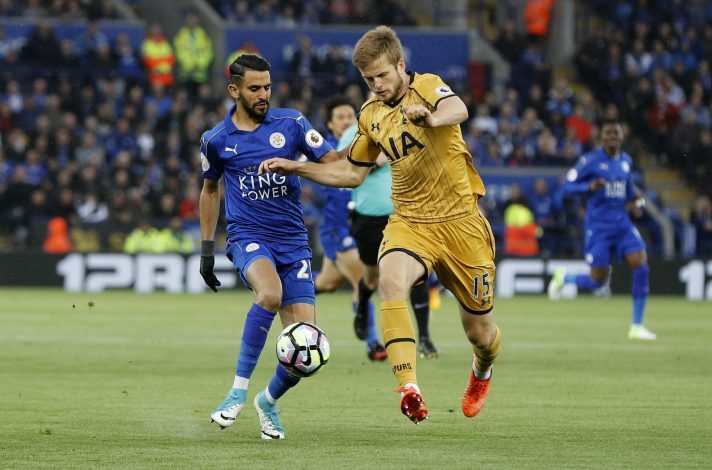 English giants Manchester United have not given up hopes of signing Tottenham Hotspur’s midfield star Eric Dier, despite closing in on a deal for Everton talisman Romelu Lukaku. According to The Telegraph, Jose Mourinho wants the Englishman to strengthen his side’s midfield, and values him as a top player. Reports also suggest that Dier was Jose’s top priority in midfield, and the Reds had an earlier bid rejected. However, talks behind the scenes have continued, and Spurs still hold Dier at £50m value, although they are in no hurry to sell the player. Mauricio Pochettino regards the youngster as a vital cog for the future, and his stability and range is considered to be an enforcing factor in midfield. United’s pursuit of Lukaku from Everton gained a surprise force under Chelsea’s nose, and the Blues are said to be miffed with the situation. The Old Trafford club has been heavily linked with Serbian midfielder Nemanja Matic all summer, but reports claim that the former Benfica man is behind Dier on Mourinho’s priority list. Due to Spurs’ initial reluctance to sell Dier, the Red Devils had turned their attention towards Matic all this while. But now, thanks to the Lukaku deal, Chelsea are set to play hardball regarding their midfield man, and make this transfer extremely difficult for Man United to pull off. Mourinho will hope to take another shot at both Dier and Matic, hoping one of the deal comes through. But if both the transfer deals stall, Jose will have to focus on other options in the market, such as Monaco’s Fabinho, who is a vital candidate amongst many others, and could fill in the void that Michael Carrick will leave next summer.